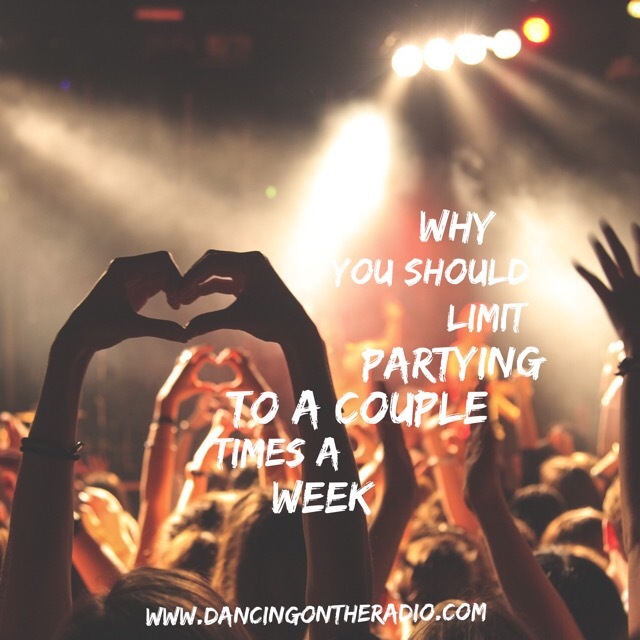 You should try to limit partying or having late night binges to only once or twice a week. By limiting these occasions they will become more special as they are not an every day thing anymore. There are so many other reasons that you should take it slow. Firstly it’s easier on your budget. Going out every night is expensive. You could save the money you would have spent going out for shoes, clothes, holidays, or even retirement. Try to rather entertain more at home (drinks are way cheaper and you never know, you could be the next Martha Stewart). By freeing up all this extra time you can focus on reaching your goals. If you’re young, which I’m sure you are then you have dreams, goals, and places you see yourself in the future. You’ll never get there without working towards those goals. So, achieve your dreams by building that business, learning a new language, or even by learning to cook. Whatever it is, you can do it! You can also use your free time to become a high achiever – complete everything you do at 110%. Don’t you think people would look at you differently if you did this? Wouldn’t you admire someone you met who did this? I would admire you. Sleep. The more the merrier. Sleep is important. Sleep keeps us sharp, improves our memory, and makes us happier. Think of a toddler, if they don’t get their afternoon nap they are super moody. Your body needs sleep. We just train our bodies over years to go without sleep. Long term this effects our personalities (in a bad way, similar to a toddler), and it effects our health (this is something that is way more important than we give it credit for especially when we’re young). So yes, if you spend less time going out you can do so much more towards your life and becoming the person you want to be. Remember you can be anything, do anything, achieve anything. But, nothing comes for free. Everything in life takes work. Hard work. Lots of work. So go out there and work for what you want! What Could You Find In A Woman’s Bag? Goodbye 2012, Hello 2013. Happy New Year! !